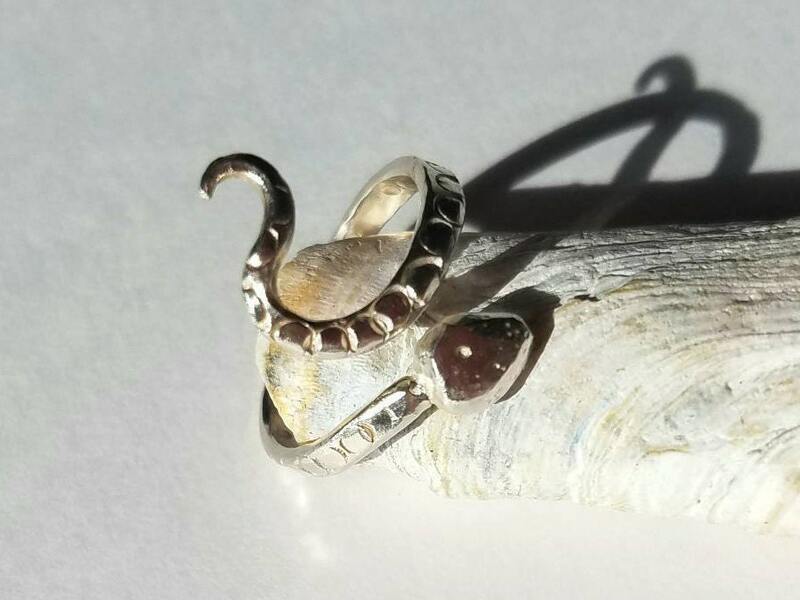 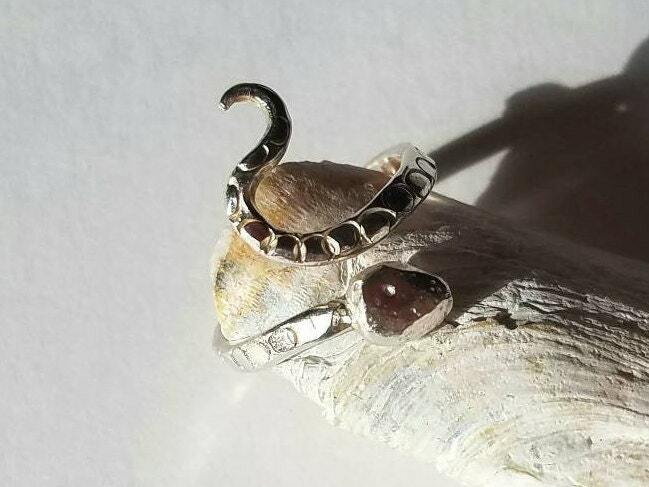 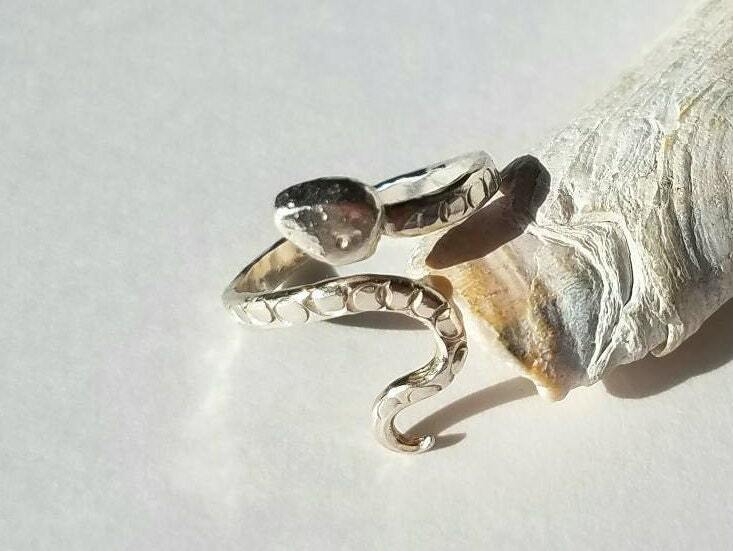 Snakes fascinate me, and I love creating their likenesses out of precious metal. 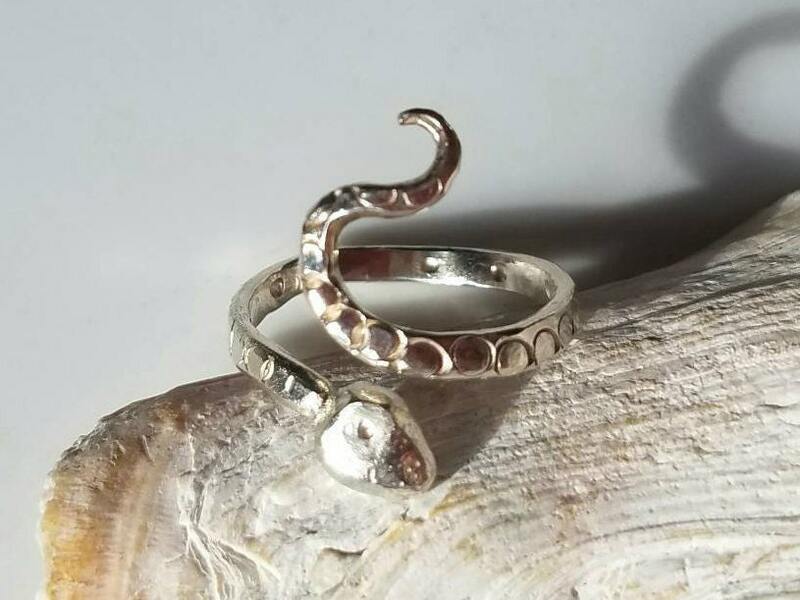 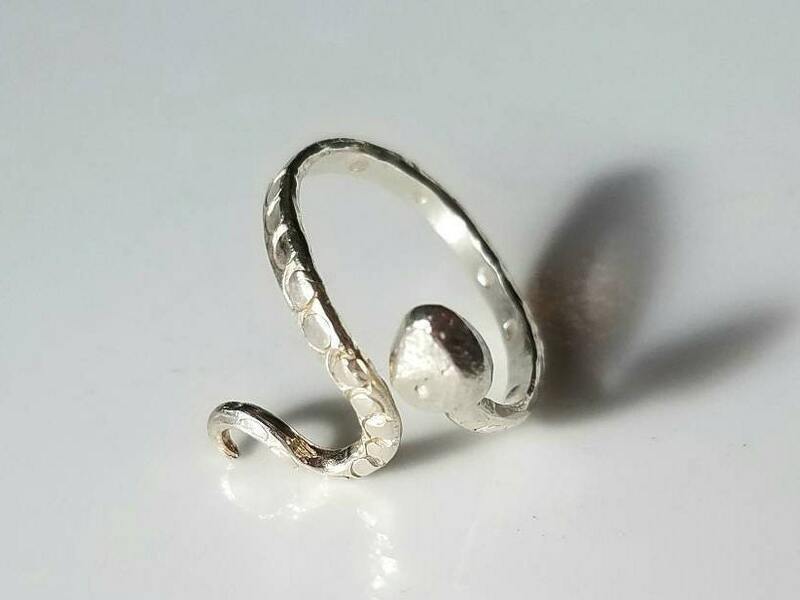 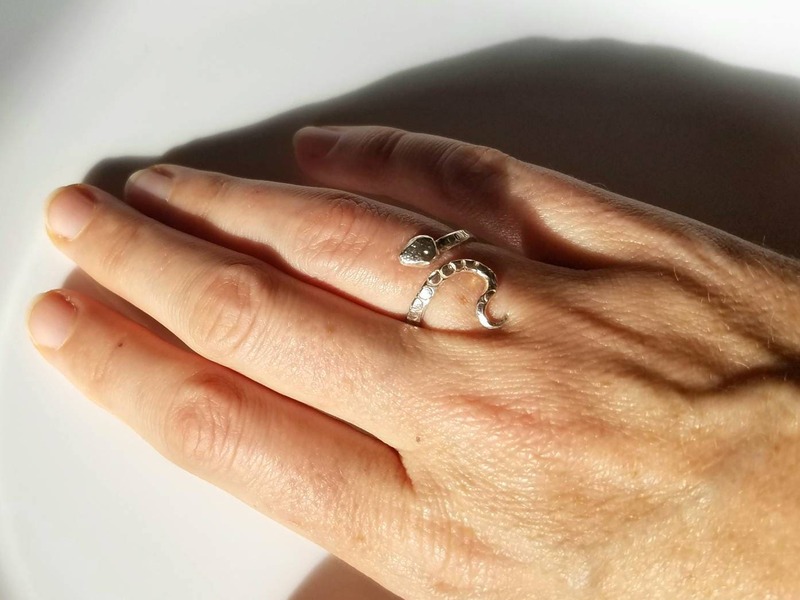 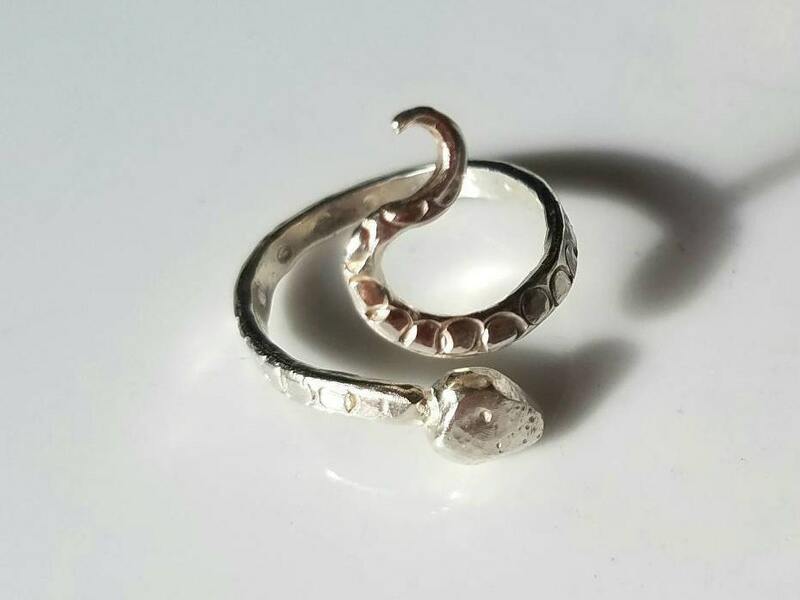 I hand forged this little snake out of medium weight sterling silver wire and gave it a subtle hammered texture and a circle pattern, its width is approximately 2.3mm and tapers down to a rounded point. 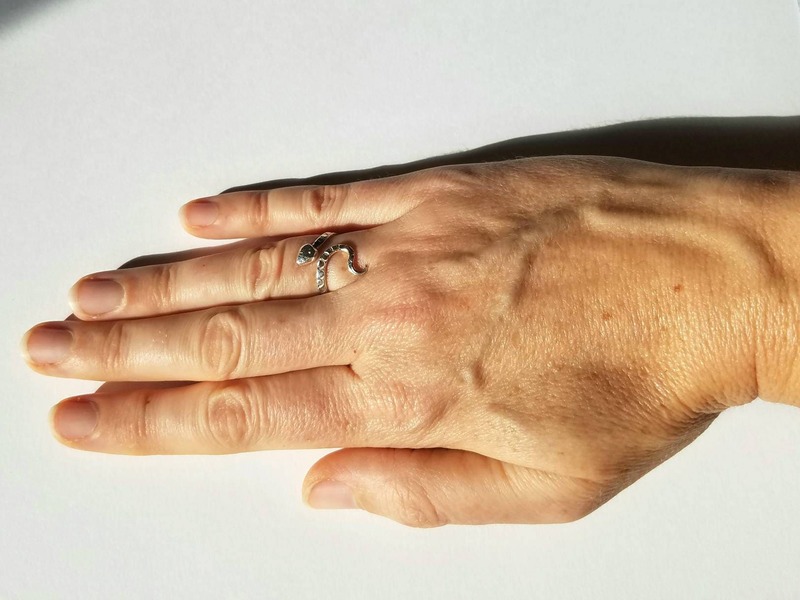 Wearing this ring is wearing a tiny sculpture of this amazing creature. 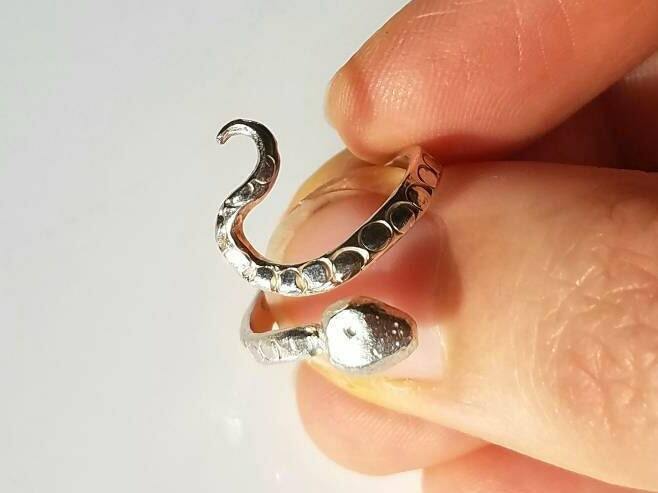 It is one of a kind, and slightly adjustable.